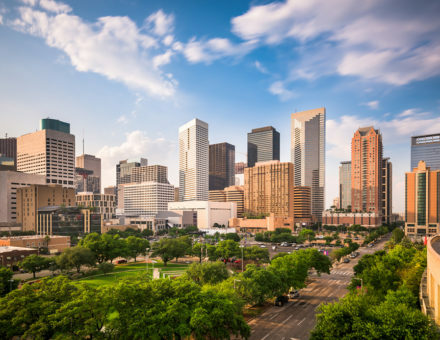 Are you considering a move to Houston, Texas? Maybe you’ve already landed a job there and you’re trying to sort out details like finding a house and moving. Before you move, take some time to learn about your new city. Houston is a fun, unique city, and this blog can show you what to start getting excited about. However, you also need to be prepared for the downsides of Houston before you move, so keep reading to see what to watch out for. Houston is a vibrant, interesting city, and you’re lucky to be moving there. You’re sure to find many things to love about Houston, but here’s a few to be aware of now. If your current home has snowy, cold winters, you don’t have to worry about them anymore. The average highs in the winter stay in the 60s, with lows in the mid-40s. Since the temperature so rarely drops below freezing, you will probably never have to shovel your driveway again, and you can say goodbye to your parka and snow boots. Houston’s job market is growing fast. This city not only bounced back from the recession faster than any other, but in 2014 it had the highest job creation index score in the nation. If you’re planning on looking for work after you move, you have great chances of finding a job. You probably know the famous words, “Houston, we have a problem.” If you’re interested in space, or if you have kids who dream of being astronauts someday, Houston is the place to be. You’ll meet rocket scientists on the street and can visit the Lyndon B. Johnson Space Center to learn more. The classic American Dream includes owning your own home, perhaps with a white picket fence. This dream is more attainable in Houston than in most cities. Homes and apartments are substantially cheaper in Houston than big-city dwellers expect, so if you’re looking for where to live, you’ve got great options. Move over New York City-Houston is now the most ethnically diverse city in the nation. You’ll find people from all over the world and from all walks of life living here, making life more vibrant and interesting. One of the best perks of Houston’s diversity is the food. The city is famous for the variety of cuisines: you can find food from around the globe inside just a few blocks. No matter whether you’re craving some classic comfort food or you want to try something new, you can find many options. Houston is very different in many ways from the rest of Texas, especially politically, but some things stay the same. The Houston Livestock Show and Rodeo is the largest of its kind in the world. If you don’t go for the show, at least go for the food-where else will you get deep-fried pecan pie and bacon-wrapped turkey drumsticks? If you prefer your events to be a little more eccentric, you’ll love Houston’s annual Art Car Parade. You can enjoy the car shows and drag races, but the best part is the parade, where you’ll see the most creatively decorated cars of your life. It’s an event unlike anything else, so get excited. Though Houston’s a lovely place to live, there are definite downsides, just like anywhere else. Prepare for the disadvantages now so you won’t be disappointed or surprised. If you live in Houston, you have to have a car to get around. The city is working on its public transit system and bike paths, but they are not very efficient yet. Unfortunately, that means that 90 percent of city residents own a vehicle, and the traffic gets messy. If you already have a job lined up, look for a place to live that’s close by to minimize your commute. Though winters are great, summer is very difficult. When looking for housing, prioritize a good air conditioning system: you’ll need it during the triple-digit heat waves with high humidity. Summers also bring the occasional violent storm and a plague of mosquitoes. Make sure to get updates about severe weather and stock up on bug spray. Houston has no zoning laws at all, which is highly unusual. In many ways, it’s a good thing: you can find businesses very close to where you live, minimizing driving time for tasks like grocery shopping. However, the lack of zoning laws also makes life unpredictable. You never know what kind of building is going to be put next to your apartment complex-it has an equal chance of being a nightclub, a neighborhood, or an office building. Houston has its problems, but it’s a wonderful place to live. Plan ahead so you can minimize the disadvantages and enjoy all the fun things the city offers. To make your move easier, contact Bekins. We take care of your entire move so you can concentrate on getting to know your new home better. Enjoy Houston! Hi Carlos, thank you for reaching out. 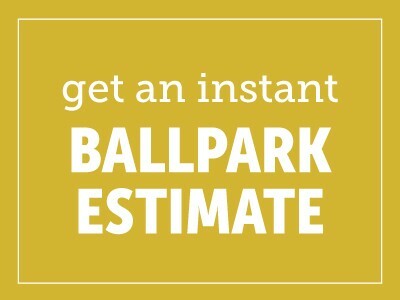 The best way to obtain a quote is to fill out our free ball park estimate tool – https://www.bekins.com/get-a-quote/ or your can call 1-800-456-8092.